A new hit game from Yggdrasil, exclusive missions and cash giveaways - this week at Casumo has it all. If you’re looking for some extra action to finish up May, this is the right place to be. Read on to see how you can get your hands on valuable cash prizes while trying out a new and awesome slot! First of all, we want to remind you about the massive spring promotion that is running until the 2nd of June in the casino. 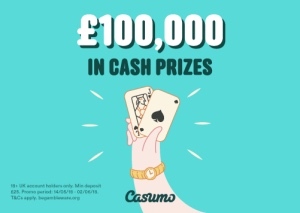 Every day during the promotion period, Casumo is giving away £5,000 to one lucky winner who’ve made a deposit of at least £25 during the day. 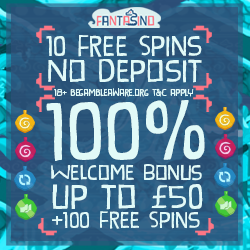 Everyone has an equal chance of winning, as it’s only possible to get 1 ticket per day regardless of how much they deposit, but you can participate on as many days as you’d like. Several prizes have already been handed out, but it’s not too late to get your hands on a sweet cash prize yet! We have even more exciting news: the latest game in Yggdrasil’s Vikings trilogy is here, and it’s called Vikings Go To Hell. This game is quite different than its predecessors, but it can pay out enormous wins if you collect enough rage points and unlock the mysterious features. Between the 25th and 27th of May, Casumo is hosting a set of missions on the game, and the players who complete them using the least amount of spins will share a huge cash prize pool. Read more about the missions by opening the game at Casumo. Be ready to play these new and high octane slots at the times above for a shot at the massive prizes, and come back on Sunday for new races every hour during the evening! Read more about Reel Races by visiting Casumo.